Each of the six games showcased in the Disney Afternoon Collection are well worth playing but there are some that you’ll want to spend more time with than others. It’s all a matter of taste and some may like certain games more than others, but if you’re playing any or all of these games for the first time, here’s the order from least good to the absolute best that the Disney Afternoon Collection has to offer. 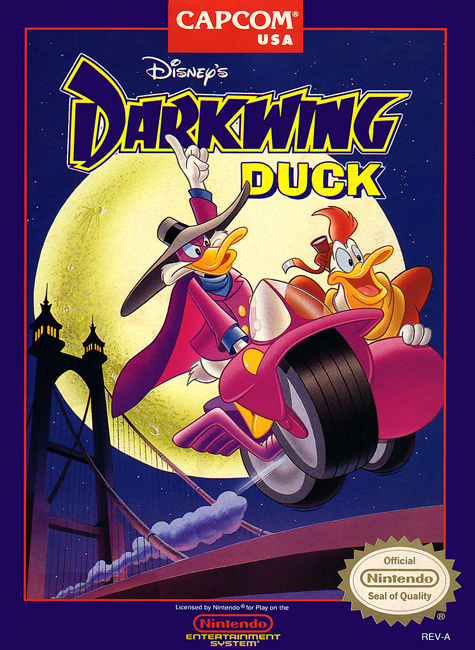 Darkwing Duck was a game that I always wanted to play growing up after seeing ads and coverage in video game magazines, but it was one I never got to play until well into my adult years. It turns out that while not being bad per se, I wasn’t really missing out on that much by not playing Darkwing Duck. It plays a lot like a Mega Man game from the way the character moves and shoots, even some of the enemies have the same behavior, but its missing that level of polish that Capcom’s classic IP does. When you die in Darkwing Duck, you never feel as if was something that you could avoid, but rather the game’s rules working against you. It still has good music, nice crisp and colorful graphics but it feels tough in all the wrong ways that will make you frustrated and want to switch to another game instead of putting in practice. This was a game I didn’t know even existed until a few years ago, and probably for good reason. It never came out until 1994 in North America and by then, I and most video stores had moved on from the NES. 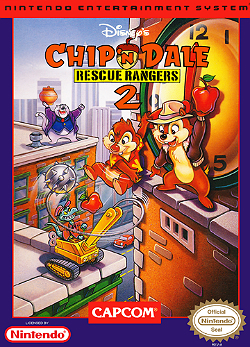 Of the games in the Disney Afternoon Collection, Rescue Rangers 2 is perhaps the most technically impressive and you can tell from its graphics that by that point, Capcom knew how to get the most out of the NES. 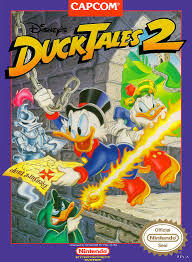 If you liked the original game, you’ll probably like this one, but unlike DuckTales 2, this sequel is just more of the same with little added other than the ability to throw boxes in a diagonal. It also has a greater emphasis on story that you’ll want to skip over and the ability to at least tackle certain stages out of order is missed. Also bosses in this game are much more of a chore to fight as you spend more time waiting to get ammunition to throw at them and it makes the encounters feel padded. 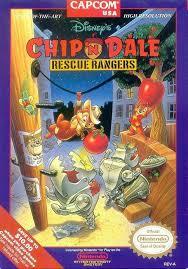 It’s more Rescue Rangers, which is a good thing, but it doesn’t really add anything new. I get why people don’t love TaleSpin, but I feel it gets a bad rap. 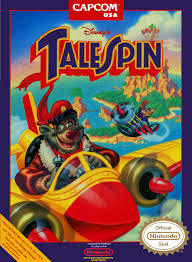 The reason why TaleSpin probably doesn’t have a lot of fans is the way it feels compared to other games in its genre. It plays like a 2-D shooter like an R-Type or Gradius but whereas in those games no matter what direction you were flying your fired straight ahead, in TaleSpin moving on a diagonal causes your character to shoot in that direction. It’s awkward for sure, but once you get used to it, there’s a lot to like about TaleSpin. There’s a lot of variety in the levels, the bosses are that good type of white-knuckle challenging and it’s fun to shoot around searching for hidden lives and secret areas. You may not get to the point where TaleSpin clicks for you, and I won’t hold that against you, but I like this game more than most and I think if you give it a shot, you just might appreciate it as well. This sequel feels much more graceful than Rescue Rangers’ and actually adds things that make it feel like a new experience. Your cane for example does a lot more, allowing you to hang on certain objects and it can even be upgraded by finding power ups found within levels. The money you collection can actually be spent this time around and levels have a few more puzzles this time around. Despite the new mechanics though, it’s just not as memorable a game as as the original. The levels and bosses are good, but they don’t stick with you in the same way the first game’s did and I couldn’t remember one tune from the soundtrack if a gun was pointed to my head. This is a stark contrast to the original’s that has one of most iconic NES soundtracks ever. One of the first NES games I owned was this one, and you might think I’m placing it his high for that reason. I’m sure deep down that’s part of it, but it could also be that Rescue Rangers is just simply a great game that can be played co-op with a memorable soundtrack and bosses. One of the best aspects of this game is perhaps the level design that cleverly uses the size of the characters. Thumb tacks are spikes, ordinary desk fans are things that push you back and kitchen taps create deadly waterfalls you have to shut off. The sequel uses that advantage as well, but not as much as the original, and this game is less obnoxious with its story as well. Is there really any other choice? This game is so beloved that Capcom went as far to give it the remake treatment in 2013. From the way the pogo mechanic works, to the music and bosses, there’s barely a bad thing that can be said about the original DuckTales other than perhaps it’s a bit annoying having to go to Transylvania three times. Otherwise this is not only an early example of a licensed game done right, but one of the greatest games in the NES’ vast library. Don’t believe me? Pick up the Disney Afternoon Collection and see for yourself. I would have put Tale Spin at 6 and Darkwing Duck at 3 Duck Tales 2 at 4 and Chip N Dale Rescue Rangers 2 at 5 but Duck Tales and Chip N Dale Rescue Rangers would still be the same. I really want to like Darkwing Duck more than I do, but I find it clunky to play which is insane to me because it’s basically Mega Man and I’ve managed to finish all the main line MM games and the entire X series. 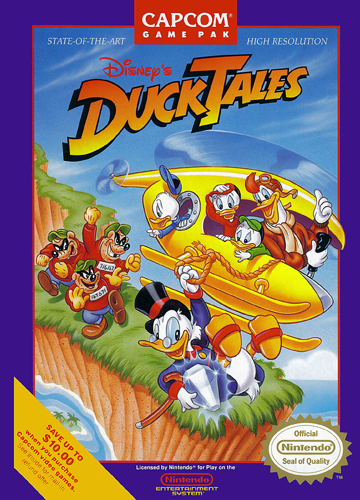 It’s actually the only game I have yet to finish on the Disney Afternoon Collection.